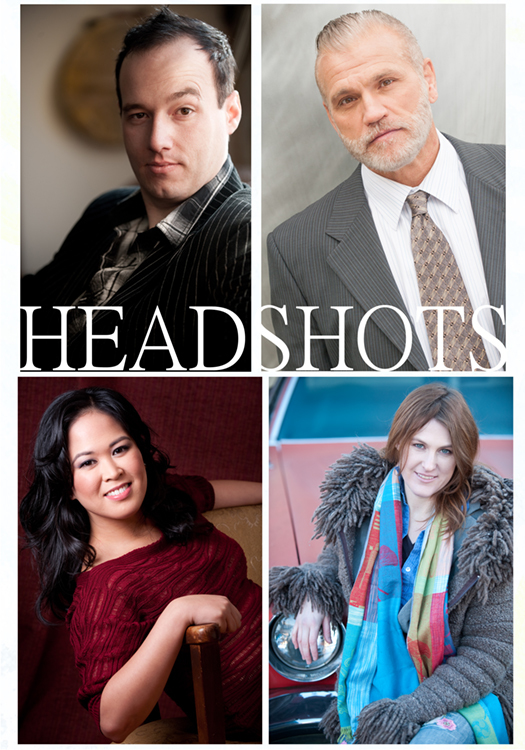 If you are here, chances are you need new headshots for 2013. If you would like an affordable opportunity to experience a relaxed professional photo shoot where the photographer works and plays with your personality, we have a kicking New Year Promotion for you! Together with esteemed make-up artist Amy Diedrich, we will style you and bring out your unique qualities so you radiate on the outside as well as the inside. My passion is taking the time to work with people, to peel back the layers and create unique, professional images. (Please have a look at the above mini collection of some of my favorites.) With my experience as stills photographer on film sets, you will benefit from my professional eye and my playful approach. If you want to feel different, show your strengths and be proud of your headshot, I truly would love to help you. And, remember, your photo can speak a thousand words. So make it say what you want! ~ a complete wardrobe, hair and skin (makeup) consultation. ~ pro make up for your shoot. ~ 2 complete looks with around 100-200 amazing images to choose from. ~ web gallery for image selection. ~ pro color correction and retouching of images for print and web use. Your promo package is $300. This Promo is running through till February 28th. Call me today to check for availability and make a booking.